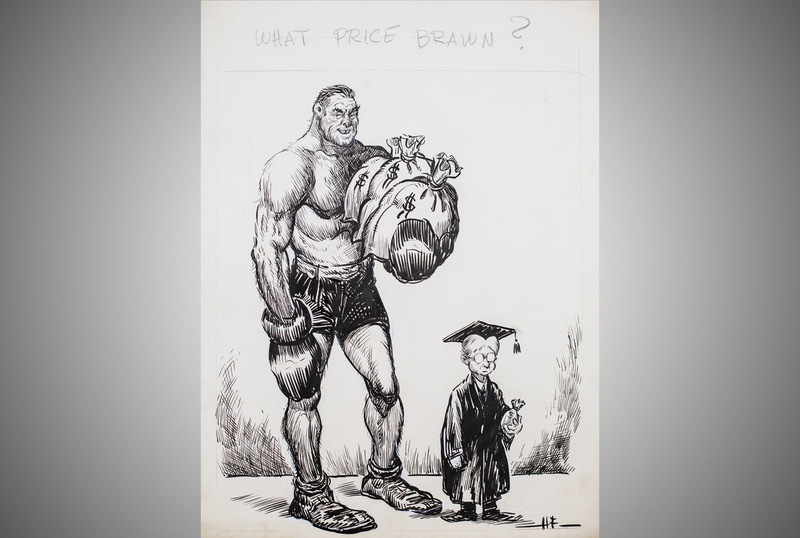 These are drawings by an editorial cartoonist named Howard Fisher (1890-1962), who worked and drew for decades for the Oregon Journal, a Portland newspaper that folded in 1982. 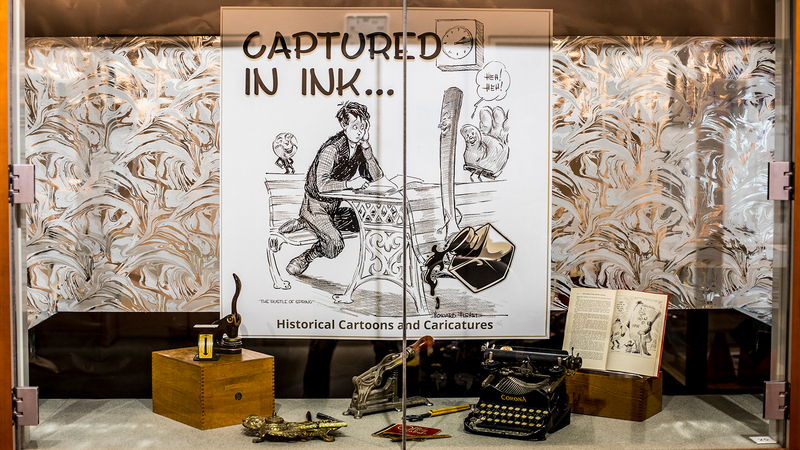 They are featured in a UW Libraries Special Collections exhibit called “Captured in Ink: Historical Cartoons and Caricatures.” The display is in Special Collections in the Allen Library South basement. 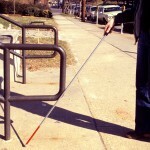 "Come on in, I'll treat you right. I used to know your daddy." 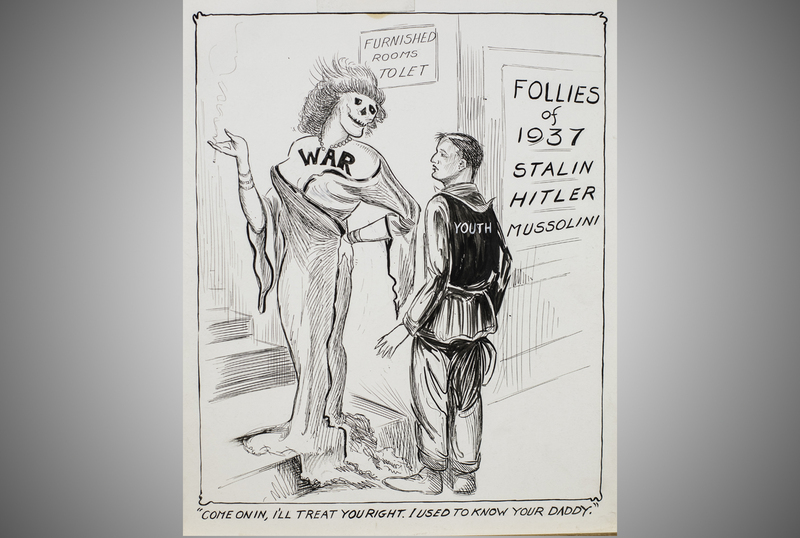 A pre-World War II cartoon by Howard Fisher. 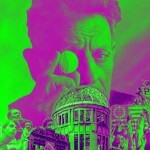 As Europe smolders with conflict, an American college graduate wonders: "Where do we go from here?" 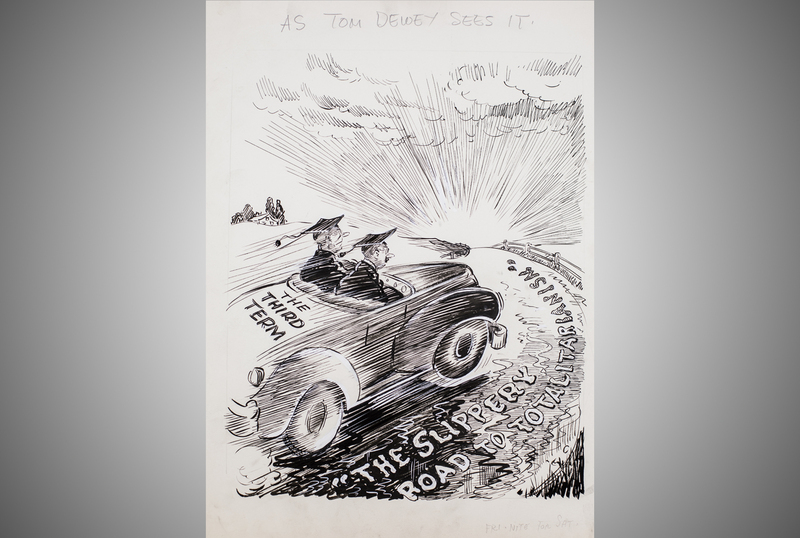 "As Tom Dewey Sees It" -- A political rival's concerns about President Franklin Roosevelt's bid for an unprecedented third term in office. Dewey lost to FDR in 1944. 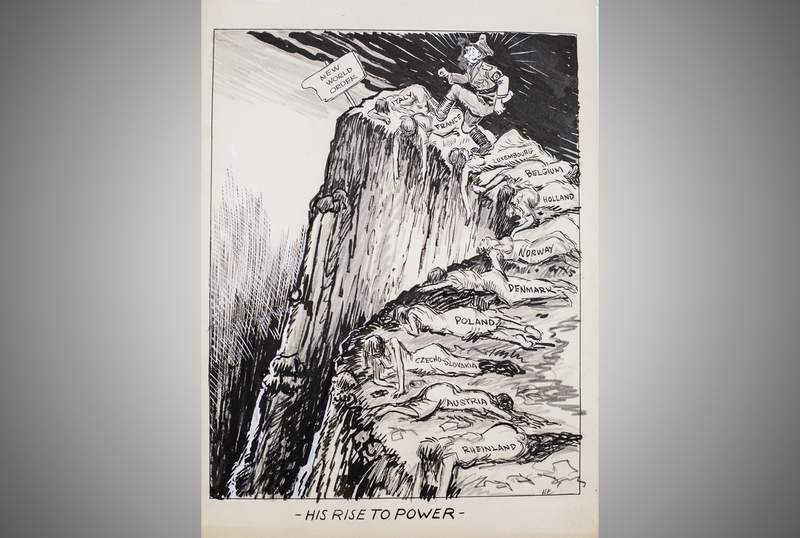 "His Rise to Power" -- a cartoon by Howard Fisher about Germany's Adolf Hitler. "What price brawn?" An editorial cartoon -- and cultural comment -- by Howard Fisher in the Oregon Journal. A car labeled “the third term” with Franklin Roosevelt at the wheel speeds down a slick highway (similar to the “Be Careful!” spot) with oily lettering: “The road to totalitarianism.” A penciled headline at the top clarifies: “As Tom Dewey sees it.” Dewey was defeated by FDR for the presidency in 1944 (and again by Harry Truman in 1948). Images in the exhibit also reveal some of Fisher’s process. A few are only pencil sketches, but hint of the full drawing to come. Many of the drawings, some of Oberg’s favorites, show where the artist used white-out to clarify edges and make it camera-ready. And Fisher, like many in his trade, had as a signature character a tiny cartoon beaver reacting to the image from the lower corners of some images. Small color caricatures of celebrities of the early 20th century from the original Vanity Fair magazine — Madame Curie, Charles Darwin, Oliver Wendell Holmes and more. 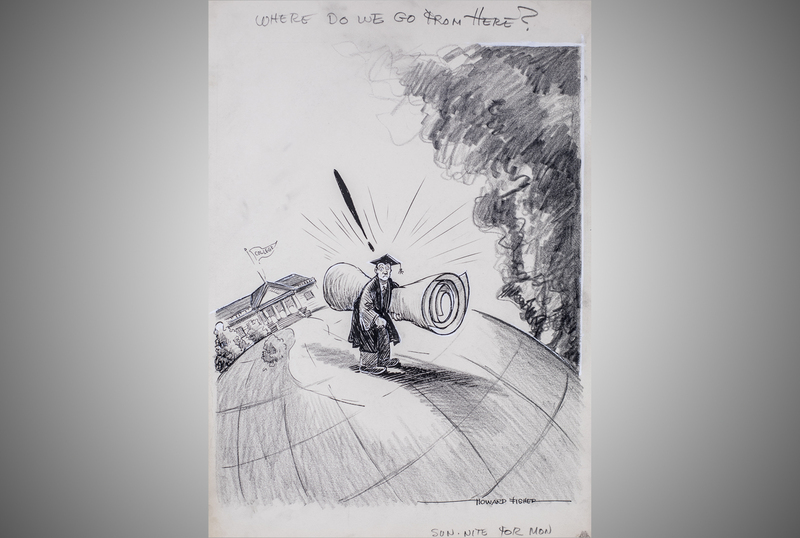 Drawings by John “Dok” Hager, an early 20th century cartoonist for the Seattle Times, of a character called Umbrella Man, whose hat indicated the weather that day. Some of the very first political cartoons, of a strutting, pompous Napoleon. Many hand-colored, these came from French and English publications of the late 1700s, though some were individually created etchings. “I find it’s incredibly timely,” Oberg said, noting an editorial cartoonist in Pittsburgh who was recently fired over his views expressed in ink. A quote from the Newseum posted in bold letters near the door sums up the role of the editorial cartoonist well, Oberg said. 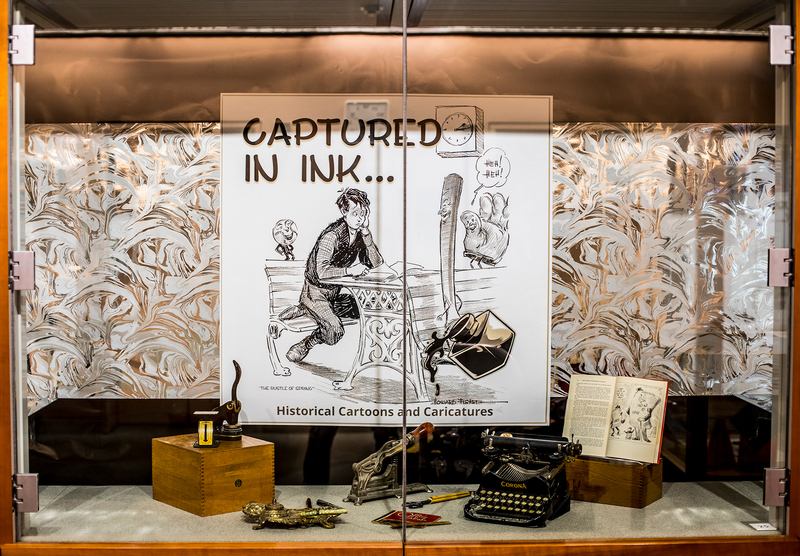 “Captured in Ink: Historical Cartoons and Caricatures,” reflecting the long and proud tradition of criticism via pen and ink, will be on display through Oct. 19. 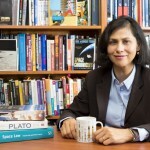 For more information, contact Oberg at 206-543-7492 or lisanne@uw.edu.